Bone Auto Glass makes it easy & hassle free to get price quote. Fill out the form below, call 314-398-8270 or email quote@boneautoglassspecialists.com. 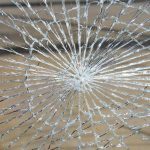 We are the trusted auto glass company in the STL Metro area! Year, Make, Model for your vehicle? Broken or chipped auto glass? Sunroof? VIN number if you have it handy. Not required here but helpful. Find on your insurance card or car.